After the success of the first Ep, comes the Remix Ep signed by three great artists of the Techno scene. Thrive is remixed by two veterans: Mark Broom and Pacou. Mark makes a very attractive and more Techno version of the original track. Pacou shows a version completely different, amazing breakbeat! 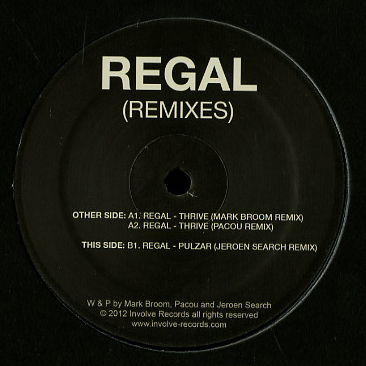 Pulzar is remixed by Jeroen Search, who is never wrong at the time! Powerful second vinyl for this label.